DFDS’ shipping network integrates freight and passenger services. We deliver high frequency and reliable freight services to haulage and forwarding companies. We also develop and deliver industrial logistics solutions in close co-operation with producers of heavy industrial goods. For passengers, we provide great maritime experiences as well as transport services for passengers travelling by car. DFDS Seaways operates a network of 30 routes with 50 freight and passenger ships. DFDS Logistics provides freight and logistics services in Europe with trailers, containers, and rail. DFDS has 6,000 employees in 20 countries, and revenue is about DKK 12 billion. The company was founded in 1866, is headquartered in Copenhagen, and is listed on NASDAQ OMX Copenhagen. 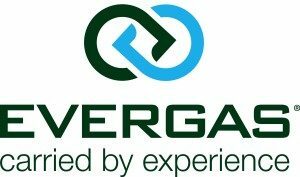 Evergas is a Danish shipping company with roots back to 1883, wholly owned by Greenship Gas & Jaccar Holdings. They are one of the world’s leading seaborne transporters of petrochemical gases and natural gas liquids. Their focus is to make gas transports simple and safe, and to set new standards for efficient and sustainable gas transport at sea. At Evergas they work hard to support clients’ requirements by offering innovative and sustainable design-solutions for transportation, and distribution of LNG, LPG and ethane commodities across the major areas of trade and emerging markets. To accommodate these needs, Evergas have established a large new-building program at Jaccar-owned yards for operational, technical and commercial excellence upon and after delivery. Evergas has its head office in Copenhagen, but has offices in Singapore and Shanghai. In total Evergas employs more than 400 highly experienced and dedicated people. J. Lauritzen has been serving the maritime trade since 1884, and during our more than 130 years of existence, we have been engaged in a range of different segments of the shipping industry. Today, J. Lauritzen is a global provider of seaborne transportation of dry bulk cargoes as well as petrochemical and liquefied petroleum gases, and our services are offered through our operational business units Lauritzen Bulkers and Lauritzen Kosan. We are wholly-owned by Lauritzen Fonden; a commercial foundation with the objective of supporting shipping, culture, social humanitarian work and education. We believe that part of a quality service is to conduct business in a responsible manner creating benefits broadly while being open, fair and honest in all our activities. We acknowledge the environmental impacts of our operations, and as part of our commitment to the UN Global Compact as well as our environmental policy, we assume our responsibility to always work towards minimising our environmental footprint. However, we strongly believe that the environmental challenges facing our industry cannot be solved by companies acting individually, which is why we seek industry collaboration where deemed appropriate in order to increase the impact of our efforts. This approach allows for mutual capacity development while adding value to our corporate responsibility efforts. Read more about J. Lauritzen and our environmental responsibility efforts and achievements on our website. Dampskibsselskabet NORDEN A/S is an independent shipping company incorporated in Denmark and listed on Nasdaq Copenhagen. Founded in 1871, NORDEN ist one of Denmark’s oldest internationally operating shipping companies. NORDEN operates in dry cargo and product tankers worldwide. The management focus is long term and is based on NORDEN’s vision, mission and values. The goal is for NORDEN to continuously develop for the benefit of its stakeholders and to achieve high, stable earnings. In dry cargo, NORDEN is one of the world’s largest operators of Supramax and Panamax dry cargo vessels and has activities in the Handysize, Post-Panamax and Capesize vessel types as well. The Company’s Handysize and Post-Panamax activities are operated commercially by NORDEN Handysize Pool and NORDEN Post-Panamax Pool, respectively, which also operate vessels from Interorient Navigation Company Ltd. (INC), Cyprus. In total 199 dry cargo vessels (including INC vessels and single trip chartered vessels). In tankers, NORDEN is active in the Handysize and MR product tanker vessel types, in total 38 tanker vessels. .The product tanker activities are operated through the Norient Product Pool, which is managed by the 50% owned Norient Product Pool ApS. Norient Product Pool is one of the world’s largest operators of product tankers. NORDEN is operating a modern fleet and actively supporting Green Ship of the Future among other by having research equipment installed on vessels. Furthermore NORDEN is supporting the Danish Shipowners’ Association’s policy of having shipping contribute its fair share of the needed CO2 reductions to reduce global warming. But NORDEN finds it essential in order to ensure a maximum environmental effect and to ensure fair competition that the reduction of CO2-emission s from shipping is established in a global setting. Ultragas Aps is a wholly owned subsidiary of Sociedade Ultranav Limitada, which is the shipowning/operating unit of the family owned Ultramar Group of Santiago, Chile. Ultragas ApS, which today operates the group’s more than 20 specialized gas carriers in international trading and of various types and sizes ranging from 3500 cbm to 20.700 cbm cargo capacity.